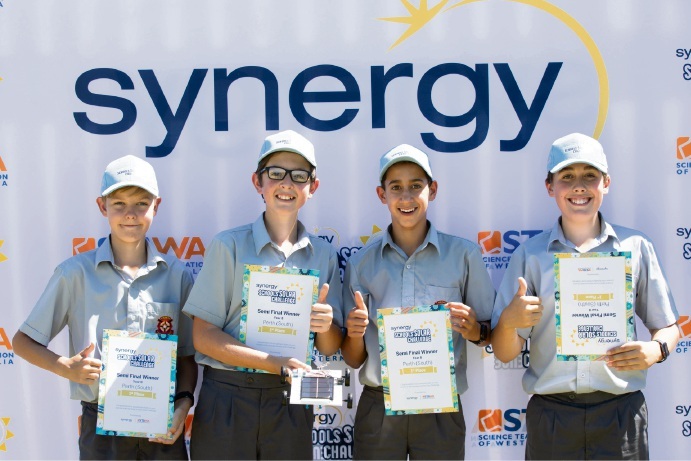 ROSSMOYNE Senior High School hosted some of the most inventive young minds south of the river at the Synergy Schools Solar Challenge. 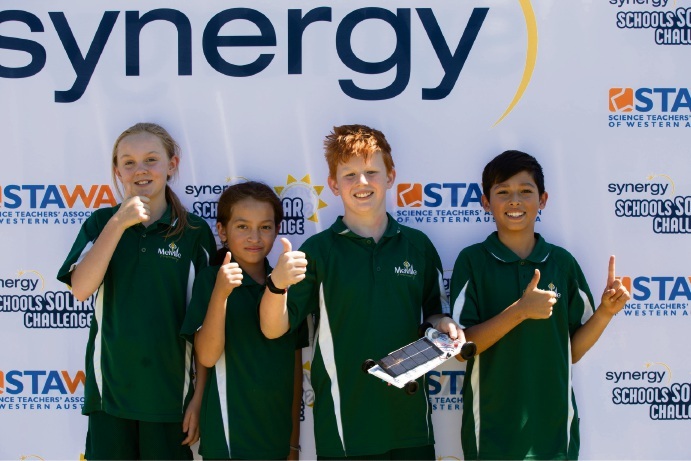 Year 6 and 8 students from 27 southern schools travelled to Rossmoyne for the annual solar powered car race. The competition challenges students to engineer and race solar-powered standardised kit cars against other schools. Schools were provided with solar car kits and curriculum-linked support to help them build and race their cars. Melville Primary School won the Year 6 challenge ahead of Warnbro Primary School, while Aquinas College overcame tough opposition from Harrisdale Senior High School and Penrhos College to claim victory in the Year 8 category. Aquinas College (L-R): Connor Scott, Matteo Conte, Solomon Ashe and Max Christie. Photo: Tara Mulholland. The Melville and Aquinas students will compete in the WA grand final at Optus Stadium. Rossmoyne Head of Learning Area for Science Colette Ballantyne said the school was delighted to host the STEM (science, technology, engineering and mathematics) focused event. “It’s great to have a hands-on program and a real-world application that brings STEM to life and engages the students,” she said.